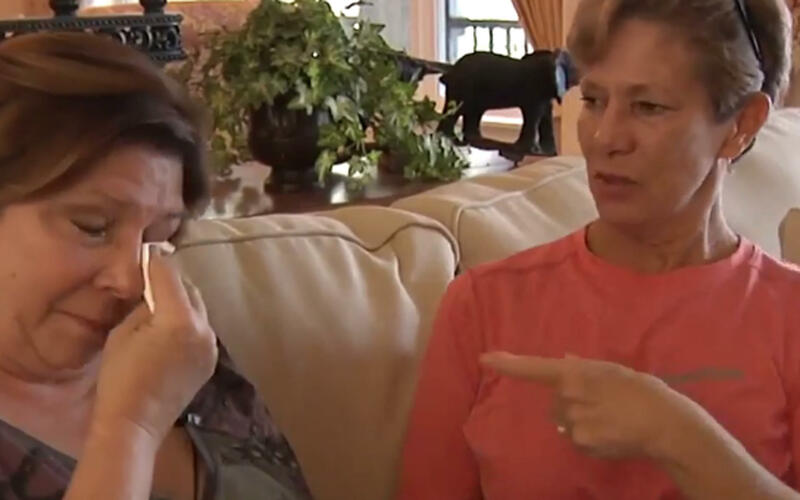 DeLAND, Fla. - Two sisters said they were humiliated when Allegiant Air kicked them off a flight, claiming they were a threat. “I just wanted to see my dad,” Debbie Hartman told CBS Orlando affiliate WKMG-TV. But that never happened for Hartman or her sister, Trisha Baker. They two were on their way from Orlando to Asheville, North Carolina, Monday to visit their sick father, who was in hospice care. While the plane was waiting to leave the tarmac, Hartman’s sister got a text message saying their father only had hours to live. “I didn’t know if my sister was getting the same text and (I) was I thinking, ‘I need to go back and tell her,”’ Baker recalled. Baker said when she got up to tell her sister, a flight attendant stepped in. “She said, ‘You need to sit down,’ and I said, ‘Well, can I just sit here? I just want to console my sister. We just got word that my dad’s dying,’” Baker said. Hartman said she started having a panic attack and the situation only escalated from there, when Baker confronted the flight attendant for not being compassionate. “She said, ‘You’re being very rude. My father is dying and I’m comforting her’ -- and they said she needed to keep her personal problems off the plane,” Hartman said. Minutes later, the sisters said, the flight attendant called the captain, the plane turned around and airport security escorted them off the flight. “They told us we were a threat to the flight. I couldn’t believe it,” Hartman said. “People were like ‘what’s going on?’” Hartman added. Some passengers even took to YouTube and complained about the situation. “That was the most inhumane, deplorable thing I’ve ever seen any human being do,” one woman said. Hartman said their father died shortly after -- and now she wants the airline to be held accountable. “I would like to see them in some way be punished in a way where people understand. This is not humane. One hundred thousand percent I blame them. They were the gate between keeping me from my father to say goodbye,” Hartman said. WKMG emailed Allegiant Air, and the carrier said it’s investigating.